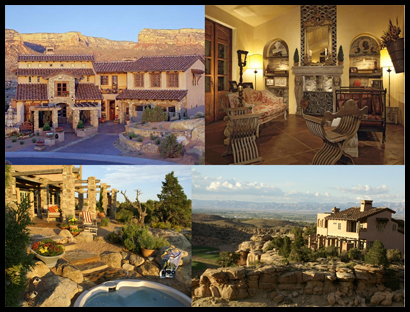 I recently completed a website for Casa Sollevare, a luxury home in Grand Junction Colorado, using the Ruby on Rails framework. The home architect and owner has put an amazing amount of unique details into this custom Colorado Mountain home. In fact it was the 2006 Home of the Year in the Colorado Homes & Lifestyles magazine. He describes the house as "Italian Country Living Under the Colorado Sun". Even if your not in the market for a multi-million dollar home, the summary of photos and captions is a must see as well as the Virtual Tour. The site has a custom, integrated back end with an AJAX rich, drag and drop Gallery Administration system paired with a WYSIWYG rich text editor. I am thinking of releasing the Gallery code to the Rails community, so if your interested be sure to shoot an email to benr at x-cr.com. I should have a screencast up soon to show the system.